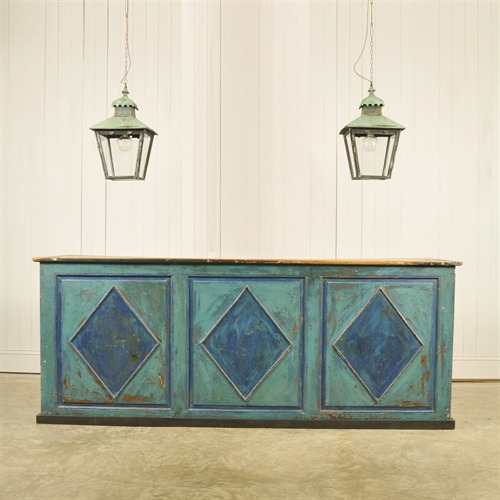 Verdigris Copper Lanterns - Original House – Decorative Antiques, Vintage Industrial Furniture and Lighting, Cotswolds. These antique copper lanterns were sourced from a church in South Wales. 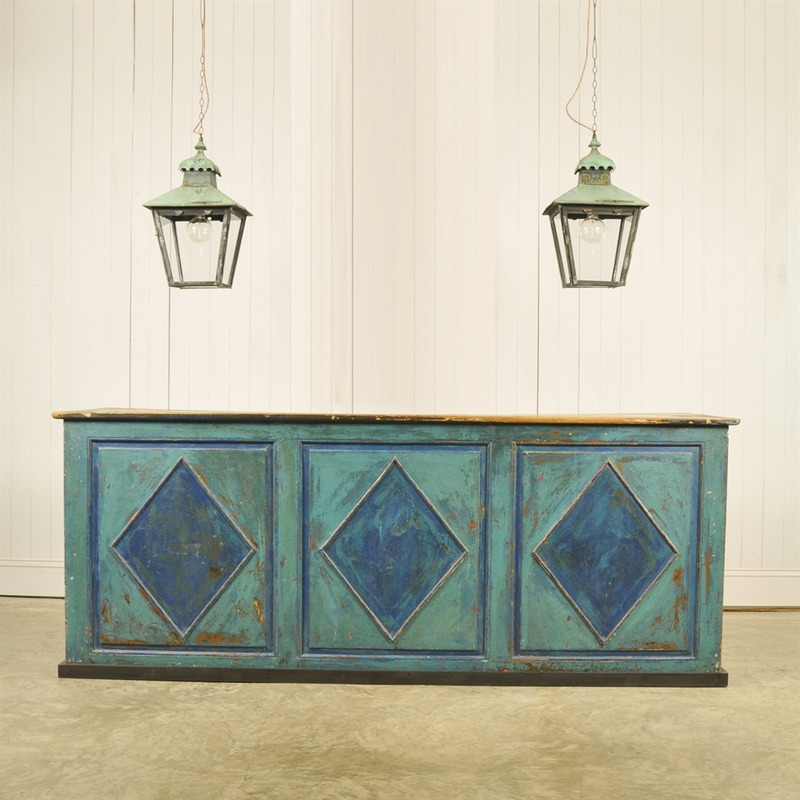 We believe these to be 1920's / 30's made from copper which has picked up a fantastic verdigris green patina. We have replaced the glass and re-wired these with brass fittings. Supplied with aged copper chain, ceiling hooks and filament bulbs.